Thank you, Loren. I am glad that you enjoy the blog. It’s is wonderful to hear from people who share my interest in history. Bryan, We recently discovered from Senator, Astronaut and Pilot John Glenn’s Flight Logs that Bu. No. 138899 was probably the first Crusader he flew. His flight log from May 4, 1956 clearly shows he flew our aircraft twice for nearly 2 hours. Of course on July 16, 1957 (operation Bullet) he broke the transcontinental Speed record from LA to NY in 3 hrs, 23 mins in another Crusader. 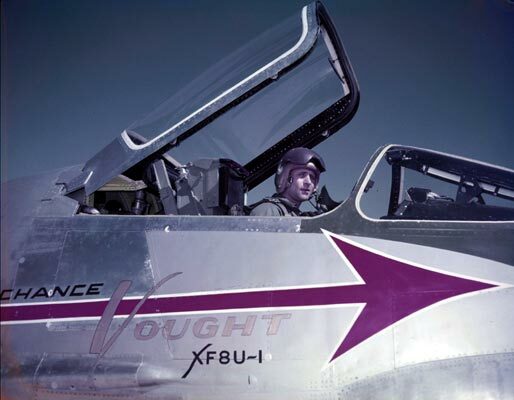 It was said, the Crusader was one of his favorite planes. Thank you, Mike. That is really excellent information. I shall try to incorporate it in my posts. I toured your Museum two years ago and to say I was impressed would be a wild understatement. I wish that I lived closer. . . . 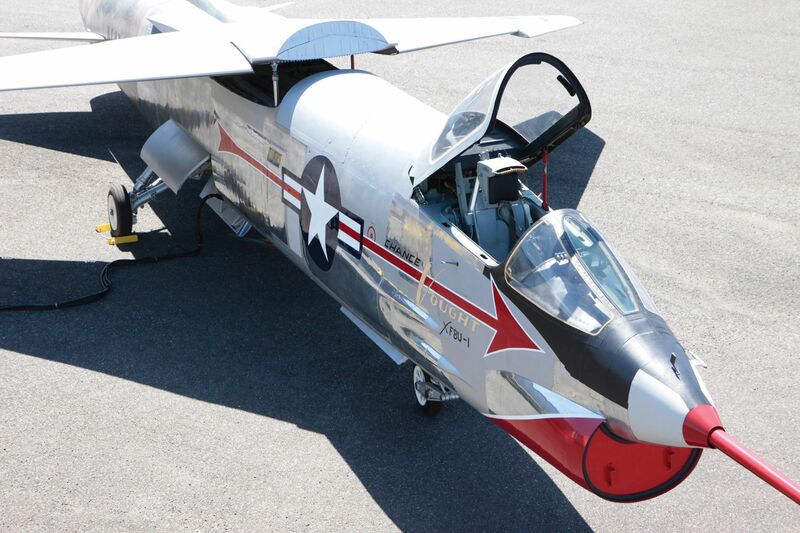 I have been unable to verify this, but I believe that the North American Aviation F-86F Sabre on display at NAS Fallon is Senator Glenn’s “MiG Mad Marine” with which he shot down three enemy aircraft during the Korean War. I provided my data to the commanding officer of the air station, requesting a physical verification of the airplane’s data plate. Many many many month’s later, I was informed that the airplane did not have the correct number——based on records, not an actual visual inspection of the airplane. 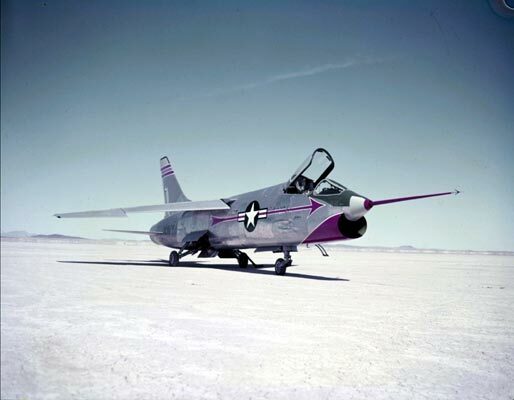 Interestingly, the serial number that the Navy said was the F-86’s was actually that of a Lockheed T-33. I remain hopeful that someday, the MiG Mad Marine will actually be verified and placed in a safe environment, rather than outdoors in the Nevada desert. Thank you, again, Mike, for your information. 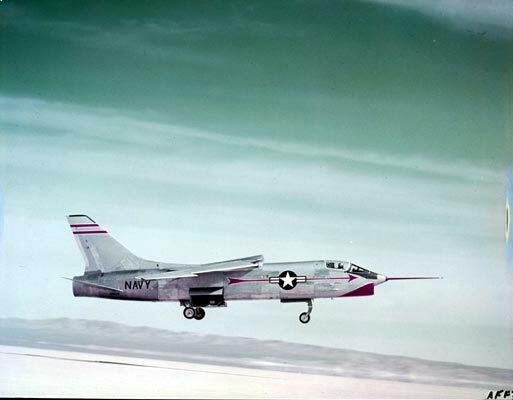 The Crusader’s reputation as an “Ensign Killer” was well deserved, later versions were fitted with twin ventral fins toward the rear of the fuselage for improved directional stability at launch, when the pilot could find the sharp end of the aircraft pointed in the wrong direction at low airspeed. I was unable to find the documentation regarding this modification, but I am certain I read about it somewhere. Thanks, Mike. 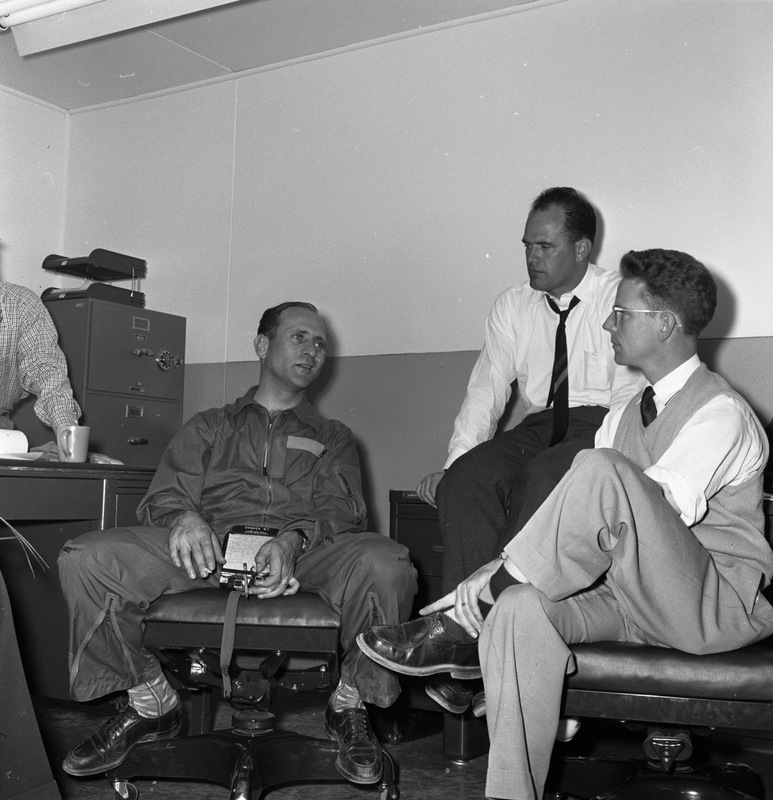 Apollo mission control flight director Chris Kraft (“Flight”) was the NACA project engineer for the F8U. He discovered dangerous stability problems with the airplane. During high-speed turns,the airframe distorted, causing uncommanded movement in the elevators. He took his concerns to the Navy’s project officer, a certain Marine Corps major (and future astronaut), who was, um, well, less than receptive. Kraft was proven right. 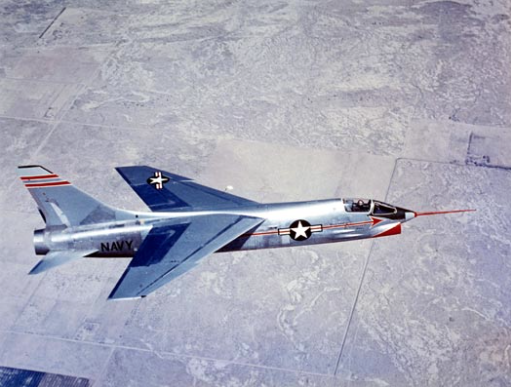 The airplane was also suffering compressor stalls, and at high speed and low altitude, the hydraulic system that controlled the wing’s angle of attack wasn’t powerful enough. The wing would pulse up and down. 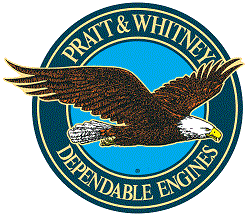 During a demonstration flight at the Chance Vought plant in Texas, a wing tore off. 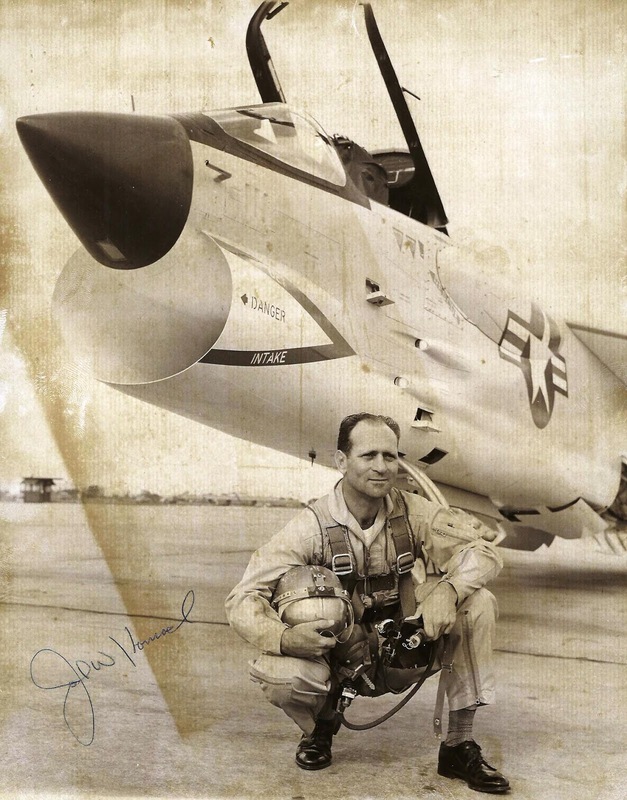 The airplane was destroyed and the test pilot killed. After Kraft had another series of, uh, er. . . “discussions” with Major Gle— I mean, the Navy’s project officer, Kraft and his boss went directly to the CNO’s staff to express their serious concerns. 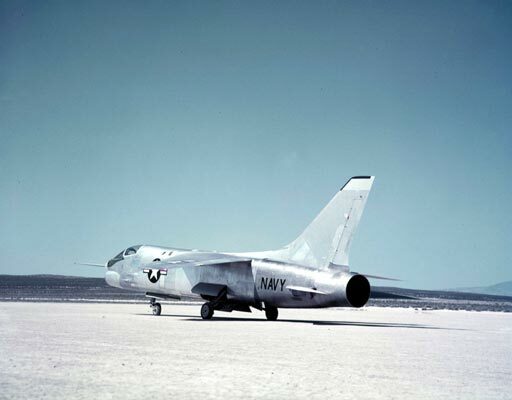 A few days later, the entire F8U fleet was grounded until a fix for the problem was found.